tonight we feature one of the latest baby clothes items for premature babies in incubators. 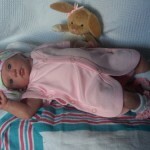 These comfortable incubator clothes are really soft to the touch.Your baby will drift off to sleep easily wearing one of these .A pleased nurse easy access, for nursing care needs. Buttons all the way round for monitor leads, wires and tubes. One happy mum, getting to choose something herself to dress delicate baby in and able to help with baby’s basic care needs until ready to come home and be a full time mum. 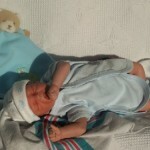 ← Premature birth Premature baby risk pregnant with twins.